They say travel can make or break a couple and to those people, I’d say you’re probably right. Travelling with your partner teaches you so much more about the other person—you learn all the little intricacies that you never even thought of (yes, good and bad). Having never been on a Contiki trip before, I wasn’t sure what to expect but after hopping on the coach and travelling through Spain for two weeks with my partner Lachie, I can honestly say it was the most wonderful experience—I just can’t believe we hadn’t thought to do it sooner. I love travelling with Lach because every time we do, I feel closer to him and by the time we land back at home our connection is always stronger than when we left. But I’ve also experienced the flip side in the past where travelling has made me realise someone isn’t right for me at all. It can go either way—thankfully, Lach and I are both so much more inspired in every aspect of our lives when we come back from a trip and this one was no different. There are more than a few reasons we loved travelling as a couple on Contiki, beginning with the fact that it was the best way to see Spain from all angles in a short period of time. Having everything organised for us ahead of time made it easy to just pick up and go each morning without the stress of organising transfers and accommodation. This meant we could focus on more important things like making the most of our time together. We both also got hit with sickness less than half way through our trip, so we needed to learn how to navigate that as a couple, sacrificing a little for one another so that we were both comfortable. This meant we spent an entire day in bed while in Barcelona because I was too sick to move. I already knew how supportive Lach was but on this day he went way above and beyond to make sure I was okay. Honestly, I’m probably a bit more of a princess than I’d like to admit so there were moments when I was uncomfortable or tired or just plain hungry that really tested me, and he was so ready to support me through it all and make sure I had a smile on my face again. All those little things made me appreciate him more and strengthened our bond. I think anyone who has travelled with a partner has had challenging experiences that have made you even stronger. It is so hard to pick a highlight from our trip—especially when it involved pintxos bars in San Sebastien one day, rooftop pools in Barcelona the next and all of the hidden beaches in between. One standout was our visit to Ibiza, I was pleasantly surprised by how much I fell in love with the beautiful island. We used some of our free time to hire a car and explore cool spots around the island just the two of us (I recommend you visit the stunning cove, Cala Salada) and we also visited a Turkish Hammam which was just what I needed! 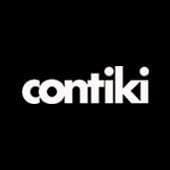 If someone were to ask me whether I would recommend Contiki for a couple, I would say 100% yes. It’s great for couples who don’t necessarily want the hassle of organising every little detail and just want it done for them. It’s also good for couples who love hanging out in group environments, trying new things and making new friends. Being on Contiki really helped to push me out of your comfort zone a little too. Of course, there are times while travelling when you bicker with your partner (we’re only human) but travelling together and making such incredible memories in beautiful Spain is something we will share and treasure for our entire lives.